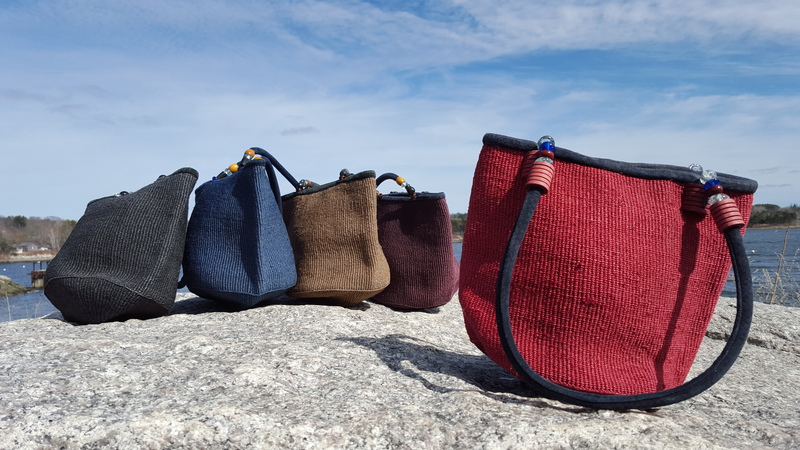 Handwoven sisal handbags made from thin strands of hand corded and dyed sisal fiber. They measure 14″ x 12″ and have a 10″ drop handle. 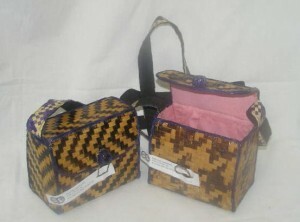 Tags: African bag, handwoven bag, sisal bag, sisal purse. 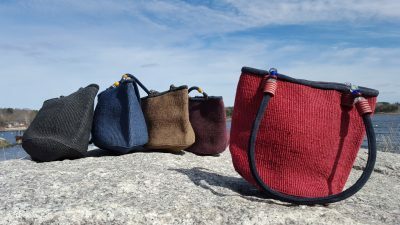 These bags are made from thin strands of hand corded and dyed sisal fiber. They have been lined with a zipper pocket inside and goat skin suede trim outside. 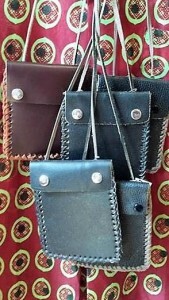 Each one has a strong zipper closure for security and two goat suede handles decorated with unique.beads. Sisal leaves are pounded to reveal their long fluffy fibers. The fibers are then hand corded by twisting on hand using the thigh as a surface. These strands of cordage can be thin or thick and left natural or dyed brilliant colors. The long strands are woven by hand into strong, long lasting bags.